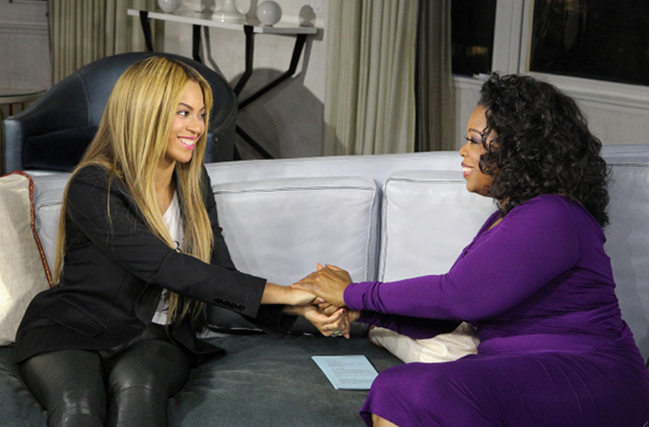 Beyoncé Takes Over Saturday Night TV: What I Learned – Sooo Fabulous! The making of “Life Is But A Dream” was life changing for Beyoncé. “This documentary healed me from so many things,” she said. In the moments before Beyoncé gave birth to Blue Ivy, she was wearing rollers–and a hair net. Her decision to drop her father as a manager was one she contemplated for a few years. She finally made that call in March 2011 and took over management of her own career. Blue Ivy is quite a personality at 13 months old. She loves books, has her own book club and likes flash cards. “She is hilarious and she is fire,” says mom, Beyoncé. Beyoncé on business: You can be kind and be strong. Business and polite don’t match. There was no official full rehearsal for the singer’s head-turning 2011 Billboard Awards performance of “Run The World (Girls).” Incredible. The singer is thinking about having another child after she wraps up the upcoming tour. Beyoncé on life: It always works out. Watch the full video of “Life Is But A Dream” below. Watch the full video of “Oprah’s Next Chapter” below.